With all the problems of the iPhone Unlocking going on, we felt it is better to ask what iPhone users have to say about this before Unlockboot goes on with the hard effort to provide its people with efficient and simple solutions for unlocking. 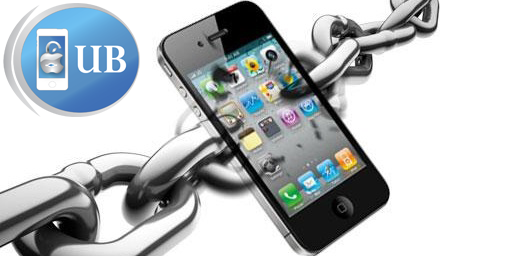 For this reason, we decided to help you to unlock your iPhone that is locked to a non supported carrier (network). About 99 % readers of our website want us to go ahead and search for the best possible solutions for them when it comes to iPhone unlocking. But moving ahead, there is something with which we want your help. One very important question that needs to be addressed before we move on is to know which carrier has the locking rights of your iPhone. There are a lot of carriers all over the world which officially support iPhones, thus it gets little difficult for bringing the solution for unlocking every iPhone in the world. Out of all the big shots in the market, AT&T is the one that, sort of, holds the biggest franchise for iPhones. This is why we thought it would be better to start our search with this carrier. In this regard, so far, we have found an easy way of unlocking an iPhone locked by AT&T and the good thing about this is that it does not require any money. You can go here to find more details about it. With AT&T out of the way, now we are going to concentrate on other carriers, like T-mobile Germany, Softbank Japan, O2 UK, Swisscom, Barred Norway iPhones, Orange and many others including barred iphones. We’ve made some posts to provide you with the best, free or low priced and efficient method of unlocking for other carriers as well. An unlocked iPhone works on any carrier in the world, can be updated to the latest firmwares and basebands without any worries and is also going to be compatible with iOS 6.1.3 / 6.1.4 or iOS 7. The possibilities are endless. How to Find Solution for your NON-Supported iPhone? To move on in this regard, we need you to tell us that which carrier we should concentrate on next? What carrier’s iPhone unlocking method do you want to see next? To help us with this, you can simply comment in our comments section and we will start search for it as soon as we receive your unlocking requests. Take action now, let us know what you require and we promise to do our best just for you. We take each of our readers seriously! Feel free to leave comments!